You can use webhooks in Agile CRM to send data back to your WordPress site using WP Fusion. Using webhooks you can create new users on your WordPress site based on rules in Agile CRM, or update existing users’ meta data and tags. There are two ways to sync data between AgileCRM and WP Fusion. Method One is available on all plans. Method Two is available with Enterprise plans, but not the lower pricing tiers. 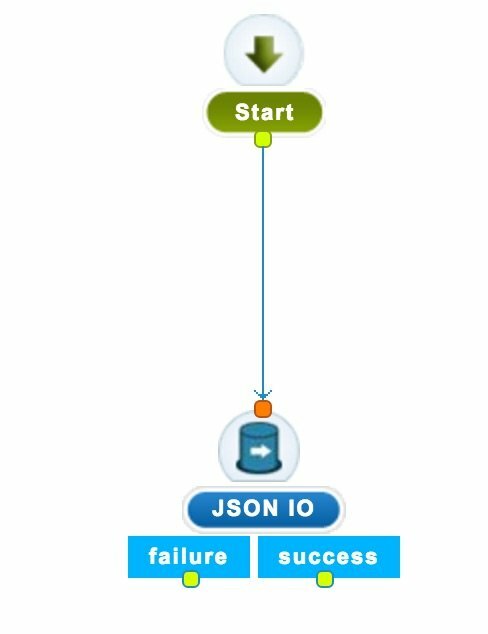 In a new or existing campaign, add a JSON IO item to any campaign. This could be triggered by a tag being applied, or part of a larger sequence. Click on the JSON IO item and in the window that pops up, configure the parameters like in the screenshot below. Replace the URL field with the URL to the home page of your site, and put your access key (from the main page of the WP Fusion settings) in the access_key field. To create a new user, set wpf_action to add. You can also specify additional parameters in user creation. For example, to send the user a welcome email containing a link to log in on your site, add a parameter send_notification and set it to true. You can also specify a specific user role to be assigned to the new user, by adding a role parameter. For example, to set the new user to the “customer” role, set role to customer. Update an existing record only. If you only want to update an existing contact record to pull any new data from Agile CRM for that contact but NOT create a new user in WordPress, set wpf_action to update. Note: By default, user accounts will be created with their email address as the username and a randomly generated password. 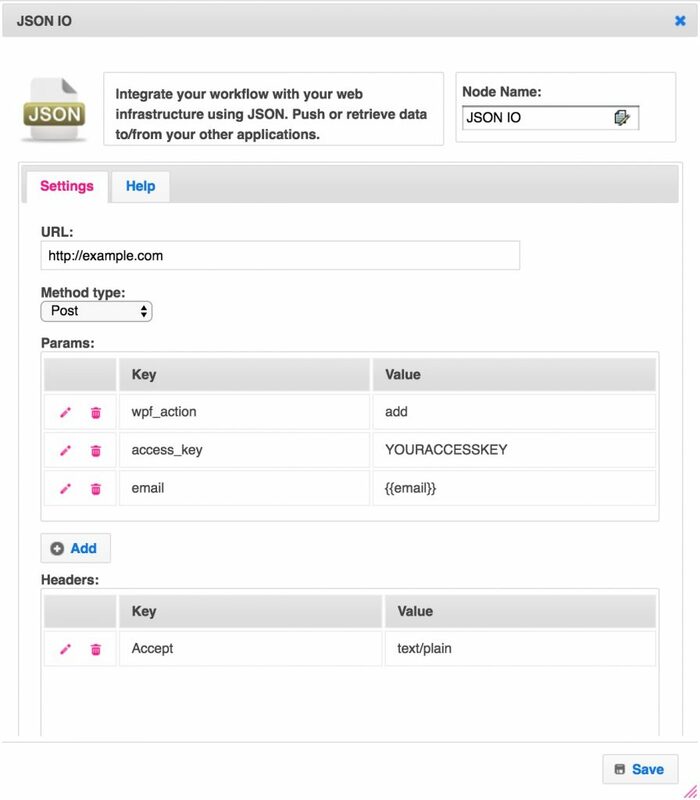 However, if you have created a custom username field and password field in your Agile CRM application, and enabled these fields in WP Fusion for sync with user_login and user_pass on your website, the new users will be given the usernames and passwords stored in their Agile CRM contact record. In the Webhooks section of the General settings tab, check the box for Return Password, and select a field in Agile CRM where the password should be stored. Agile CRM also supports an alternate method of sending webhooks that doesn’t require setting up a campaign sequence. Using this method, WP Fusion will pull the latest data from Agile CRM any time a contact’s details are updated, or a tag is added/removed. For more information on this method, see Agile CRM’s documentation. To use this method with WP Fusion, create a new webhook and set the URL following the example below. Make sure to select “Contact” as the module, and replace ACCESSKEY in the URL with your unique access key (visible on the WP Fusion settings page). Once the webhook is enabled, any changes to contacts in Agile CRM will be reflected on your site immediately.